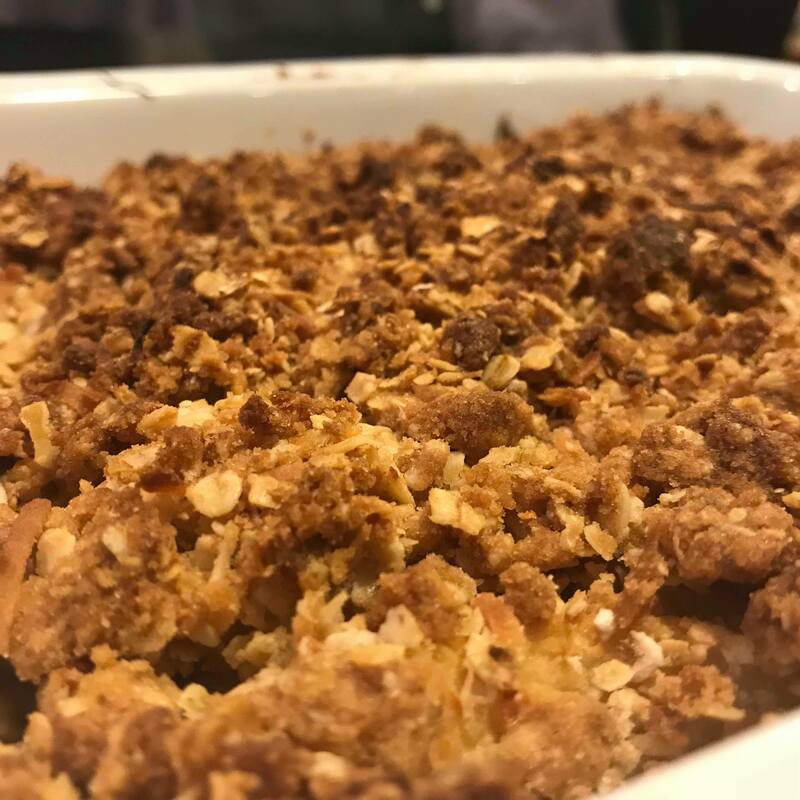 A hearty apple crumble never goes amiss, especially after a rainy relaxing weekend spent at home. Last time I visited my family I was blessed to be given more apples than I knew what to do with. Finally, I have got through them (after making apple sauce for pork, stewing a whole bunch for winter and having an apple a day for approximately the last fortnight) with the finale being a good ol’ crumble. This recipe is delicious – the apple is soft and sweet, and the topping is crunchy, golden and goes so well with a scoop of ice-cream or yogurt on the side. 180°C. Place apple, caster sugar, cinnamon and 2 tablespoons of water in a large pot. Cover and cook for 5 minutes. If using rhubarb, add it once the apple has started to soften, along withe flour (If rhubarb isn’t being used, just add the flour). Cook for another 5 – 10 minutes, until soft. Transfer to an oven proof baking dish. In a bowl, combine the oats, additional flour and brown sugar. Add butter and use your fingers to rub into the mixture until it resembles coarse crumbs. Add the coconut. Spread over the apple mixture and bake in the oven for 30 minutes or until golden.